Ford’s pushing in-car gadgetry in a big, big way at the Consumer Electronics show, announcing a revamped dashboard that brings the intuitive nature of cellphones and MP3 players to automobiles. Ford says the tech will make its dashboards easier to use and improve the interface of its popular Sync infotainment system. 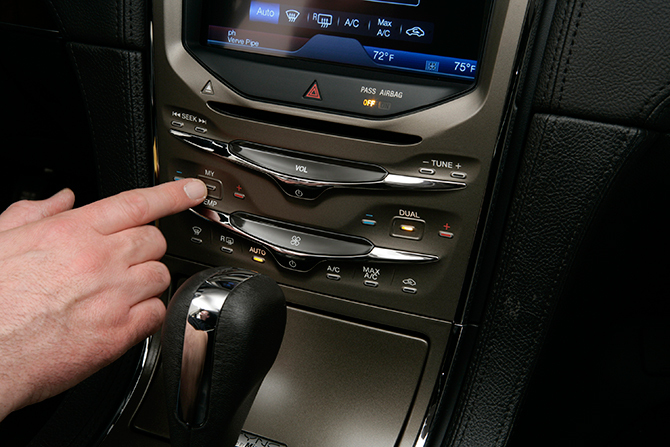 The company has been diving headlong into connective technology lately, introducing everything from in-car wi-fi to iTunes song tagging in recent weeks. But Ford rolled out its coolest trick yet today at CES with MyFord. It essentially replaces most of the conventional dashboard buttons, knobs and gauges with configurable touchscreens and voice-activated commands. The idea is to make everything about the car easier to control while minimizing driver distraction. MyFord allows drivers to control the heating and air conditioning system, entertainment system, navigation system and phone by voice from the steering wheel and by touch from the center console. And they can choose exactly what information is presented on the touch-screens with the click of a button, a voice command or a tap on the screen. 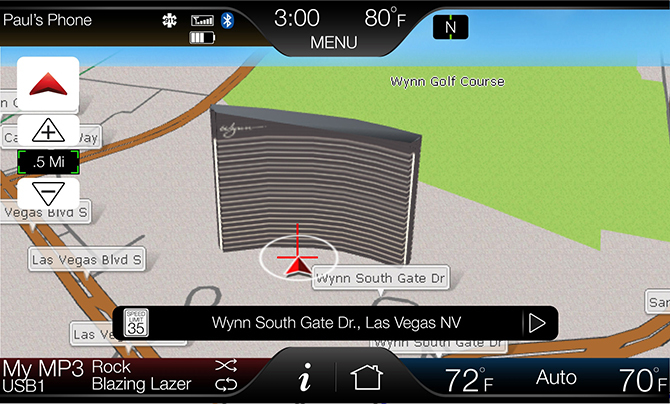 Ford says MyFord draws on popular cellphones and MP3 players to make the driver-dashboard interface more intuitive. It includes two 4.2-inch LCD screens on either side of the speedometer and corresponding five-way button steering wheel controls. There’s also an 8-inch touch screen in the dash. All of them can be controlled with Sync voice commands. Look for it in the 2011 Edge and the 2012 Focus. Ford isn’t leaving corporate sibling Lincoln out in the cold either. 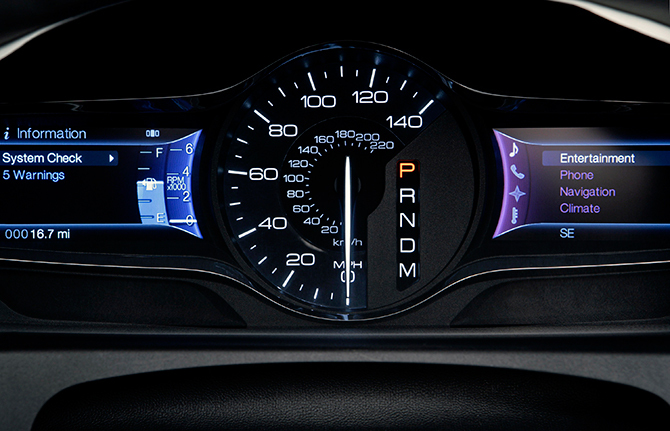 For 2011 there will be the MyLincoln Touch, which will be standard equipment on the Lincoln MKX. 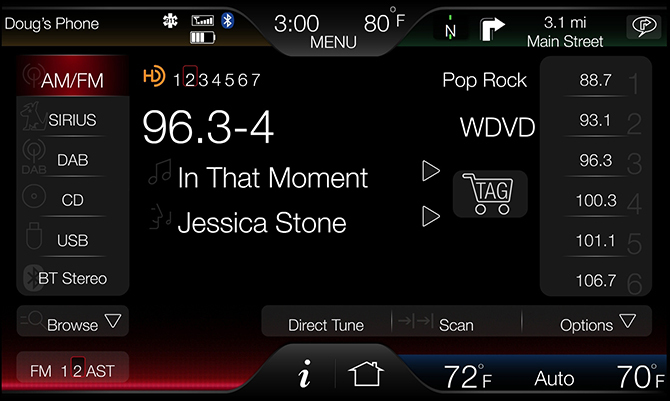 Down the line, Ford hopes to bring wi-fi and apps like Twitter and Pandora to the MyTouch as well. It also is working with MapQuest to provide the ability to send directions from your computer or smartphone directly to Sync. “What the mouse did for the PC, we need to create for the automobile,” Buczkowski said, according to theWall Street Journal. 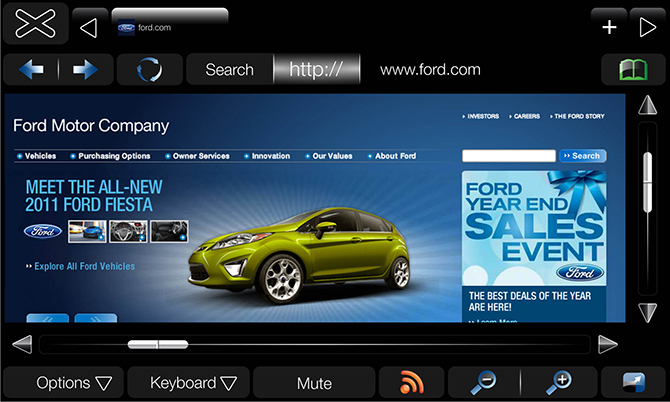 Ford also worked with developer Bsquare’s on the MyTouch touchscreen, which brings new technologies like Adobe Flash to the dashboard. Bsquare also incorporated other tricks, including speech recognition, navigation, media, climate controls and phone for a seamless user experience. “The first version of Sync was impressive, but this blows the doors off,” said Carey Butler, v.p. of professional engineering services at Bsquare. Now if Ford’s Sync could help us get rid of that Bozo who’s holding up traffic.